Everyone keeps asking about how PRIDE went, so I might as well tell ya about it. This years PRIDE was my absolute FAVORITE! We didn’t have the money to build out a crazy float, but we did have an idea. We decided to be the Queerbomb of PRIDE. 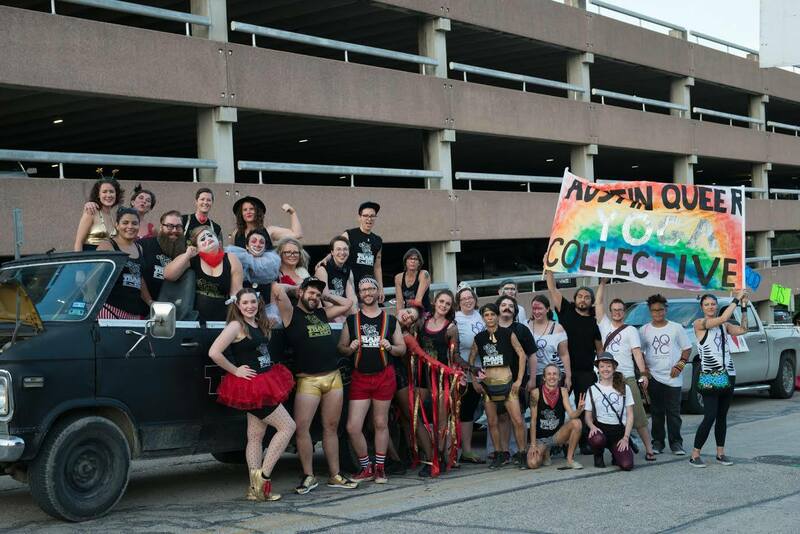 In other words, we were the freaks, geeks, steers, and queers of PRIDE, and with PRIDE’s theme of “Circus So Gay,” our freak show stood out perfectly. We drove a punk rock van with the top cut off revealing a troupe of circus clowns and punks. The van pulled behind a bunch of strong-humans (formerly known as “strongmen”) lifting fake huge weights, painted in the color of the trans flag. Following the strong-humans were dancers featuring our favorite parade dances. The float ended with Austin Queer Yoga Collective holding their banner high and dancing among us. Since TENT (Transgender Education Network of Texas) always provides security for the PRIDE parade, I think Transform was the biggest group of transgender representation at the parade. I heard a few transgender teens screaming when we passed them, and maybe a few of them crying. They weren’t the only ones crying. Many of us were crying too. It felt so good to have my Transform family all together. I truly felt a huge since of PRIDE for what we have accomplished in less than a year. Thank you to everyone that has been a part of this family. I can’t wait for us to grow even more. Click Here to Watch a video of PRIDE and visit our Facebook!